First edition of Flannery O’Connor’s enigmatic short story collection, in bright second state dust jacket. Told with her quintessential Southern Gothic vision. The figures she paints in the landscape – farmhands, conmen, embittered intellectuals, bigots, Bible salesmen and killers – are all equally vivid; and the bold and complex situations they find themselves in, even more so. A unique and important association copy, in the scarce dust jacket. A gift from Baroness Orczy to the ‘Detection Club’, whose founder members include Anthony Berkeley, Dorothy L. Sayers, Agatha Christie and Freeman Wills Crofts. Baroness Orczy was initiated into the club in 1930. Short stories featuring Patrick Mulligan aka Skin O’ My Tooth, the sharp Irish lawyer who is rather unkindly described as ‘fat and rosy and comfortable as an Irish pig, with a face as stodgy as a boiled currant dumpling. His hair, I believe, would be red if he gave it a chance at all, but he wears it cropped so close to his bulky head that he looks bald in some lights’. A unique and important association copy. 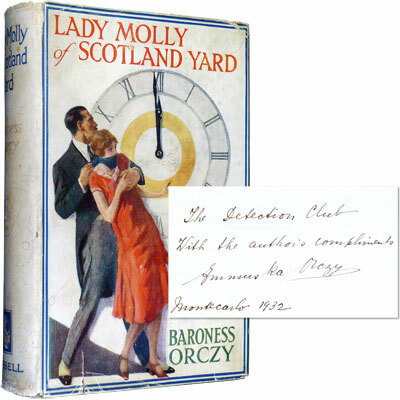 A gift from Baroness Orczy to the ‘Detection Club’, whose founder members include Anthony Berkeley, Dorothy L. Sayers, Agatha Christie and Freeman Wills Crofts. Baroness Orczy was initiated into the club in 1930. 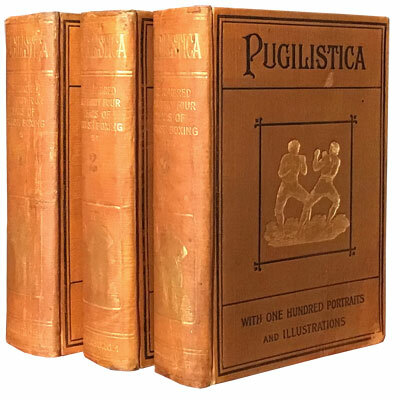 In a rare example of the dust jacket which is scarce in any of the early editions. Containing 12 short stories about Lady Molly Robertson-Kirk, one of the early female sleuths who fictionally joins the police force to head up the ‘Female Department of the Yard’, a decade before women were actually allowed to join. Fine first edition in a superb example of the delicate Gollancz jacket, with excellent provenance, a gift from Punshon to the Detection Club, (he became a member in 1933), in which Punshon has written on the front endpaper ‘The Detection Club’, it also contains the illustrated bookplate of the Detection Club library. The thirteenth novel to feature detective Bobby Owen, in which he sets off on a working holiday to France, charged with finding out what happened to Miss Polthwaite’s diamonds (Dean Street Press). First American edition with excellent provenance, a gift from Punshon to the Detection Club, (he became a member in 1933), in which Punshon has written on the front endpaper ‘The Detection Club’ with their address ‘12 Kingly St. W.1.’, it also contains the illustrated bookplate of the Detection Club library. Why should anyone want to murder a man like Alfred Brown? Yet slain he was, in his own home and with a poker. (Dean Street Press). The 22nd Bobby Owen mystery. First edition in the delicate Gollancz jacket, with excellent provenance, a gift from Punshon to the Detection Club, (he became a member in 1933), in which Punshon has written on the front endpaper ‘The Detection Club’ with their address ‘12 Kingly St. W.1.’, it also contains the illustrated bookplate of the Detection Club library. The 24th novel to feature Bobby Owen (now ‘temporary-acting-junior-under-deputy-assistant-commissioner’ of the C.I.D.) whose incessant piano playing seems to jar on everyone, and Bobby Owen even wonders if the recent murder of a stranger might have been provoked by it (Dean Street Press).